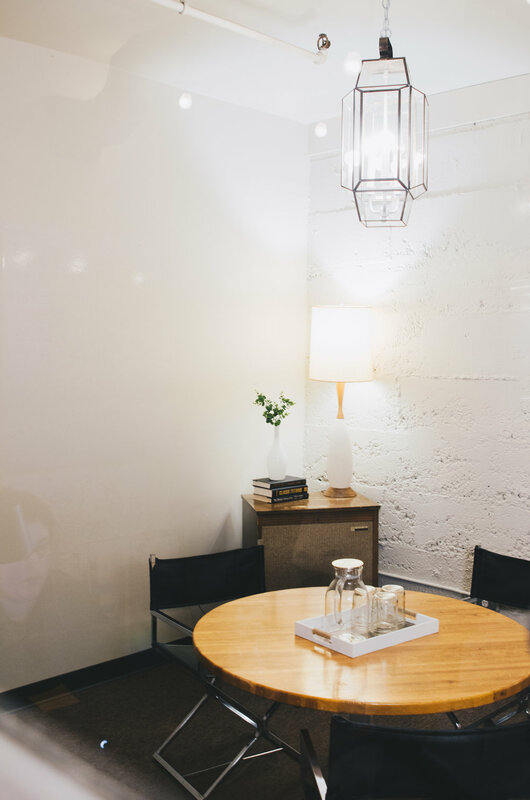 If you’d like to hold a meeting with clients, employees, or anyone else, you can do so in any of our four private meeting spaces. All meeting spaces include wifi and whiteboards. Our main event space and lounge is available for a 5 hour flat rate plus additional hours on the weekends. Measuring in at 1,600 square feet, it seats up to 100 people or accommodates standing room for 250. We love hosting business development, networking, and creative events in our space!